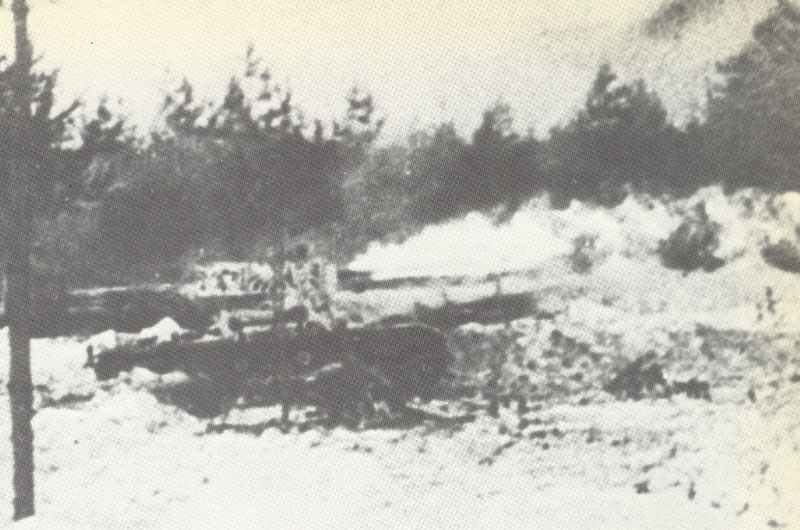 The OT-130 flame-thrower tank version of the T-26 in action against the Mannerheim line during the second battle of Summa. Their main problem was that they had to approach very close to their target, and were very vulnerable to even the simplest weapons such as the anti-tank rifle. Winter War – Second battle of Summa: Russian 7th Army batters key sector of Mannerheim Line near village of Summa, with waves of tanks pulling armoured infantry sledges (‘Molotov Coffins’) and flamethrowers; supported by ‘creeping’ artillery barrage and hundreds of aircraft. Finns repel all attacks until February 11 (but battle ends on February, 16). Britain: Admiralty takes control of merchant ship building and repairing. Japan: Government begins five-year re-armament programme.